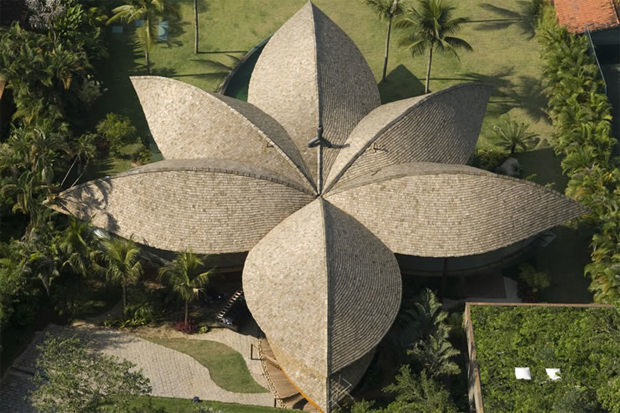 Admittedly this is a rather more elaborate than the architecture we traditionally feature here, in the search for a group of firms I’ve not come across before I found myself admiring this “Leaf House” which has been built by Brazilian architects Mareines & Patalano. I felt this was worth making an exception to the rule however, as the project made me begin to consider the challenges faced by the designers in hotter climates so hopefully it will do the same for you too. 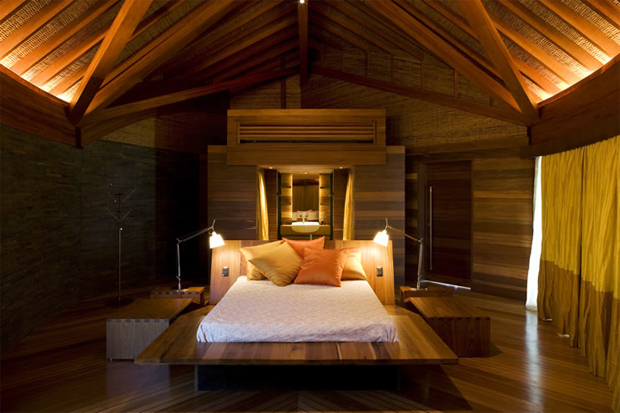 This open plan design obviously helps to keep the temperature of the home down during the summer months, which is something rather alien to us here in Europe where the aim is to keep all hot air trapped inside our homes. I enjoyed the fact that the house has been centred around a collective dining and living space that speaks of quite a communal home, you can imagine the family gathering here for shade when the heat becomes too overwhelming. 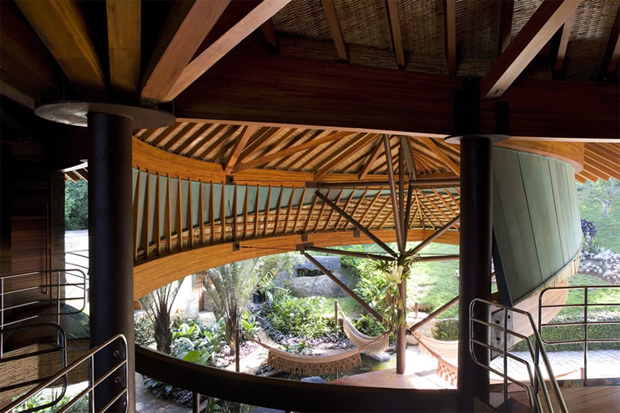 The project has been quite heavily influenced by the Indian style of architecture that has become rather prominent in areas of Brazil, given they both share hot and humid climates. 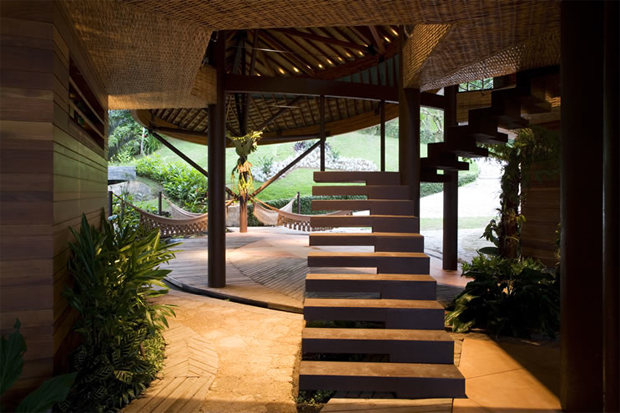 The leaf design insures not only a literal connection to the surrounding natural environment but a more subtle one too with the addition of several plants and small trees incorporated within the home. 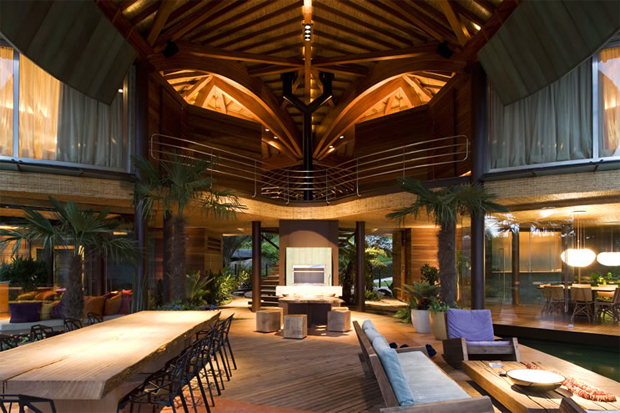 I love the abundance of wood used here which must provide fantastic acoustics within the leafy shape. 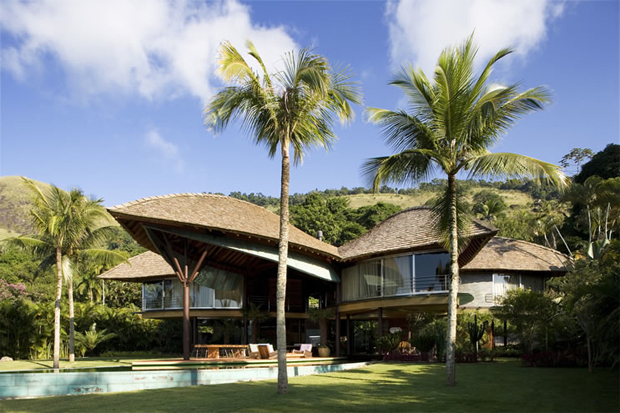 The house is located just beyond the shore line at one of Angra’s dos Reis beautiful beaches, with only an hour drive away from Rio de Janerio. 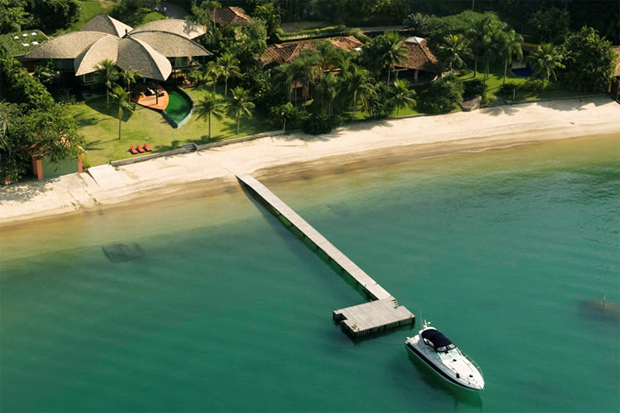 The location insures passive cooling and natural ventilation from the south east sea breeze, a refreshing marriage of architecture and it’s environment working as one. For more information on this project or to see further builds from Mareines and Patalano why not head on through to their portfolio by clicking the link below.